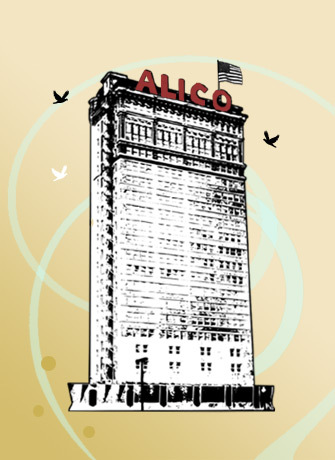 The historic ALICO building is a prestigious facility now offering office space for your business. Please contact for available space options. The Brazos River, Suspension Bridge, Indian Springs Park, Heritage Square, the popular River Square and Baylor University are very impressive views. Not to mention the conveniently close proximity to the Courthouse, City Hall, Convention Center, hotel accommodations, financial institutions, and an array of fine restaurants. For driving directions, click here. We offer electricity, janitorial services, 24 hour security, use of building coffee shop/break room, and upon request the conference room and class room will be available, as well as contract parking. Our base rental fee is $1.32 sq. ft., with a minimum 1 year lease. Each floor has approximately 4,200 square feet.